Music cognition seems to be a hot topic these days. My browser is constantly bringing me fantastic discoveries, like “Music makes you smart!” and “Play music from your brain, in your sleep! Respectable science journals publish articles about how music training increases blood flow in the human brain and how simply listening to music can improve memory. My treasured opinions on the whys-and-wherefores of music processing, appreciation and performance are sometimes supported (but typically trashed) by the latest neuroscientific discoveries. My inbox is apparently being managed by the magical and malevolent brooms from the Mickey Mouse cartoon The Sorcerer’s Apprentice. I can open new 10 journal articles, breeze through their abstracts and parse their conclusions in about 30 minutes. I finish filing them carefully away in my reference manager when, out of the corner of my eye, I catch a sudden movement. A new message from Neuromusic is trumpeting the arrival of reports on congenital amusia and musical improvisation. This is quickly followed by Frontiers In Neuroscience (sadness in musicians) and Academia.edu (jazz as an intellectual endeavor). The best that a poor cognitive scientist can do is to tread water and hope for a wizard (or a true star) to come along and stop the madness. In the meantime, the collection grows and begs for attention. I share the following findings with you partly for your general amusement and education, but mostly to remind myself that keeping-up is so, so very hard to do. How can musical sounds have such profound emotional and rewarding effects? Long answer: Perceiving sound events as pleasurable involves an intricate interplay between the dopaminergic system and cortical regions that contain previously acquired sound templates, track temporal and hierarchical structure, integrate emotions with reward value, detect internal states, assign reward value to stimuli, and make value-based decisions about reward-related stimuli. Short answer: Your brain gives itself a treat (dopamine) when it hears a tune matching elements of music that you’ve grown to like (accuracy of prediction). Do people from different cultures respond similarly to music? Long answer: The present findings indicate that although valence responses were often different between the two participant groups, music- induced arousal responses appeared to be based on rather universal, culturally independent response mechanisms. These may be based on low-level acoustical characteristics of music like tempo, pitch, or timbre. There were more similarities in participants’ responses in Western than in Pygmy music, indicating that Western music may make stronger use of these characteristics than Pygmy music. Short answer: Yes. While listening to stimulating Western orchestral music, both Canadians and Congolese Pygmys experienced increased physiological arousal (heart rate, skin conductance, and respiration). Are individual differences in music performance mostly determined by the time they spend practicing? Long answer: Deliberate practice accounts for 19% of the reliable variance, while 81% of the reliable variance is potentially explainable by other factors, e.g. the age at which a person starts, general intelligence, working memory capacity, etc. Innate ability is probably more important than deliberate practice in determining the ultimate level of performance a person can achieve. Short answer: Nope. Practicing only accounts for a fraction of the difference between performance levels of expert and mediocre musicians. Are musicians more sensitive than non-musicians to sadness expressed in speech? Long answer: Musical training is associated with changes in cognitive and affective processing. Musicians exhibit different expressions of musical emotion, and show stronger emotional experience in response to music. Musicians possess higher skills for the recognition of emotions expressed in music, and they differ from non-musicians in the processing of the sadness and fear conveyed in music. However, the effects of musical training are not limited to the musical domain, and in particular certain aspects of speech processing have been shown to benefit from musical training. Musicians show improved performance in the encoding of speech sounds, in detecting speech in noise, in extracting rhythmical patterns in auditory sequences, and in processing pitch in speech. Short answer: Yes. Musicians showed increased activation in the middle frontal gyrus, the anterior medial prefrontal cortex, the posterior cingulate cortex and the retrosplenial cortex. Has anybody figured out how to use a brain-to-computer interface (BCI) to play familiar melodies? Long answer: Although scientists have used electroencephalography (EEG) , , , functional magnetic resonance imaging (fMRI) and magnetoencephalography (MEG) to produce pitch-series that sound interestingly musical, no one has been able to decipher the brain’s encoding of melody. Short answer: Not yet, though many claim to have cracked it. 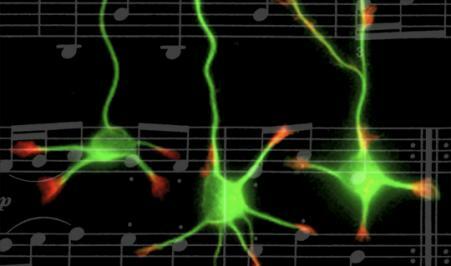 Until we can decode a consistent brain response to a familiar tune, e.g. “Happy Birthday To You”, we will be unable to make music simply by thinking it. (However, we have had some luck in our lab with MEG data from our “Pink Panther” trials and are currently using Bach’s “Jesu, Joy of Man’s Desiring” for our stimulus). 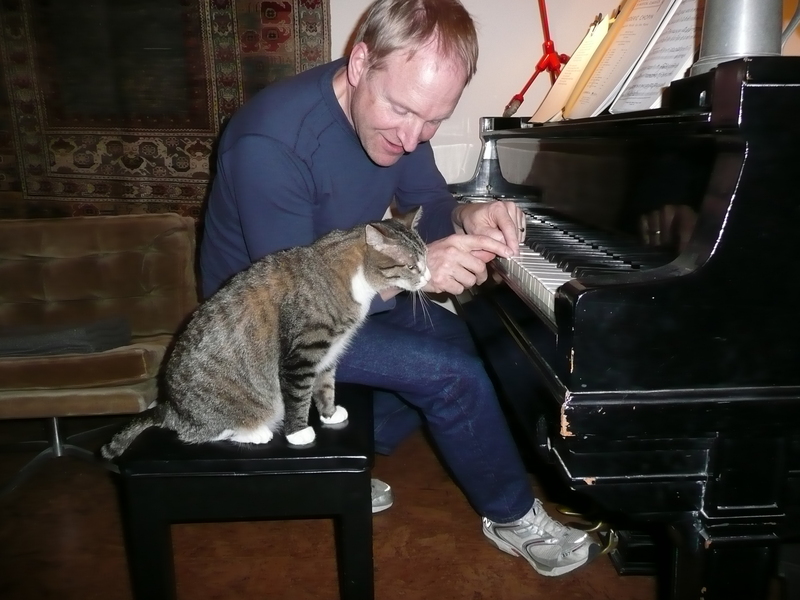 Roger Du mas doesn’t own up to any particular label, but admits that he has masqueraded as a college professor, recording artist, synth programmer, corporate president, author, neuroscientist, inventor, father and husband. He believes that music can make it all better. Great – love your “long answer” “short answer” juxtaposition.